IPF is a rare disease that affects a very small percentage of the population, so finding extensive information about the disease can be more challenging than usual. Here you will find some basics about IPF and common medications which are used to treat it. 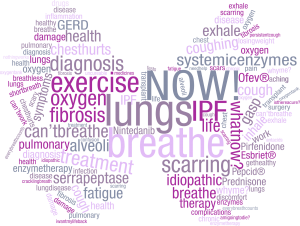 The first step to understanding your condition is to learn what pulmonary fibrosis means. There are more than 200 different types of this disorder with a variety of causes. However, all of them result in heavy scarring in the lungs. The word idiopathic means the cause is unknown. When we breathe in, the air travels to one of the 300 million little air sacs in the lungs called aveoli. These tiny sacs are basically giant air bubbles bathed in blood that make it easy for their oxygen to diffuse into the blood cells and then be distributed throughout our bodies. Carbon dioxide in your blood also diffuses from the blood cells into the aveoli to be released when you breathe out. The process of fibrosis causes scarring both within these sacs and on the outside. As their walls thicken due to the scar tissue, it becomes more difficult for the oxygen to transfer from the aveoli into the blood. The end result is a constant lack of oxygen which leads to chronic shortness of breath. Once you have been diagnosed with idiopathic pulmonary fibrosis (IPF), you will want to know what stage you are at. Knowing this will help you know what to expect and what treatments are most likely to help slow the progression of the disease. Traditionally, doctors rated your condition on a scale from “early” or “mild” to “advanced” or “severe.” Researchers are working to nail down precise measurements to better assess your stage of IPF. You may get your initial diagnosis early in the progress of the disease – the mild stage. However, you may not show symptoms until your lungs already have quite a bit of scarring. If this is the case, you may have already reached the moderate stage. You might be able to go for years with only a minimal change in your ability to breathe, or you might decline suddenly and quickly advance to the moderate or advanced stage. A sudden deterioration in your condition is known as an acute exacerbation which can be life-threatening. One thing to remember is that the exact symptoms and progression of IPF vary greatly in different patients. There is no one size fits all treatment for this disease. The medical literature refers to this situation as heterogeneity. Steps that Your Doctor Will SuggestYour doctor will provide you with detailed information on what to expect and what you can do to slow the progression of the disease. He or she will also probably recommend a support group to help you deal with the symptoms and get support from other people who are fighting IPF. They understand what you are going through. If your doctor thinks it’s best for you, he or she may start you on one of the pharmaceutical drugs approved to treat IPF. He or she will also probably start you in a program of pulmonary rehabilitation which involves breathing exercises, supervised physical exercise, changes in your diet, and interacting with a support group. You may also want consider alternative therapies that are used to improve the symptoms of IPF in other parts of the world. Your medical team will immediately assess the state of your health by examining your lungs and your ability to exercise. These measurements will help them see how you respond to treatment over time. Your medical team will monitor the health of your lungs by checking such factors as your forced vital capacity (FVC) or any changes in your 6-minute walk distance. Your readings at 6 months offer an indication of how likely you are to survive. For example, if your FVC declined by 5-10% over this period, you are more likely to die sooner. In contrast, if your readings have been stable, this is a good sign that your disease is progressing slowly. At this point, your symptoms have become severe enough that you will probably need to start breathing supplemental oxygen. You may start by breathing through an oxygen mask periodically, or you may need to breathe oxygen all the time if your oxygen levels are really low. This is a dramatic and life-changing step, and you are likely to feel overwhelmed. Many people feel like they are trapped at home and get anxious and/or depressed. Your doctor may refer you to counseling if you need it. Support from other people who have IPF will be even more critical at this stage. At this point, your symptoms are so severe that there is little that the doctors can do to treat you except to give you a lung transplant. However, not everyone is a candidate for this procedure. Your doctors will focus on providing palliative care to keep you comfortable. This can include powerful drugs to help you tolerate your breathing difficulties. Drugs prescribed include opiates such as morphine or benzodiazepines – tranquilizers such as Valium, Xanax, or Klonopin. Palliative care usually involves a team that includes doctors, religious leaders, nurses, psychologists and other health care professionals to address every aspect of your life.Advanced care planning becomes critical at this stage, so your medical team knows what your wishes are and can respect them. For example, when it becomes extremely difficult to breathe, your doctors may recommend that you go onto a breathing machine to keep you alive. Many people do not survive long at this stage, and you may not want to take this step. Several conditions that are complications of IPF frequently prove fatal at this stage. You may succumb to respiratory failure. You may also suffer from pulmonary hypertension (high blood pressure in your lungs) or heart failure n the right side of your lungs (cor pulmonade). 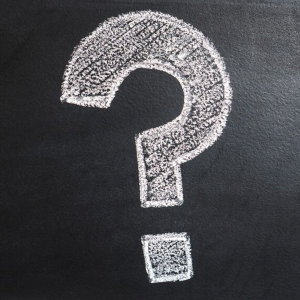 The term idiopathic indicates that the cause of a disorder is unknown. Doctors have no idea what causes idiopathic pulmonary fibrosis (IPF), although smoking increases your likelihood of developing this disorder. Certain viral infections also increase your risk. Clearly, something must have consistently damaged your lungs to lead to such intense scarring. Researchers currently think that some factor in the environment or inside your lungs triggers them to keep attacking themselves. A large number of environmental factors cause other types of pulmonary fibrosis. While this disorder is common, the individual conditions that cause it are not. Therefore, doctors sometimes have a hard time diagnosing which type of pulmonary fibrosis you have. It is critical to get an accurate diagnosis of IPF, because the treatments for some of the other types can increase your likelihood of dying. The average time that patients survive after their diagnosis is 2-5 years. However, since this figure is an average, you could live longer after your diagnosis. The prognosis for IPF has changed over the years. The average time that patients survive is considered to be shorter than it was in previous years. With the advent of high-resolution CT scans, doctors can diagnose the condition more effectively. Therefore, they can focus solely on patients with IPF. The studies used to include patients with similar symptoms, but different types of pulmonary fibrosis that are less severe than IPF.